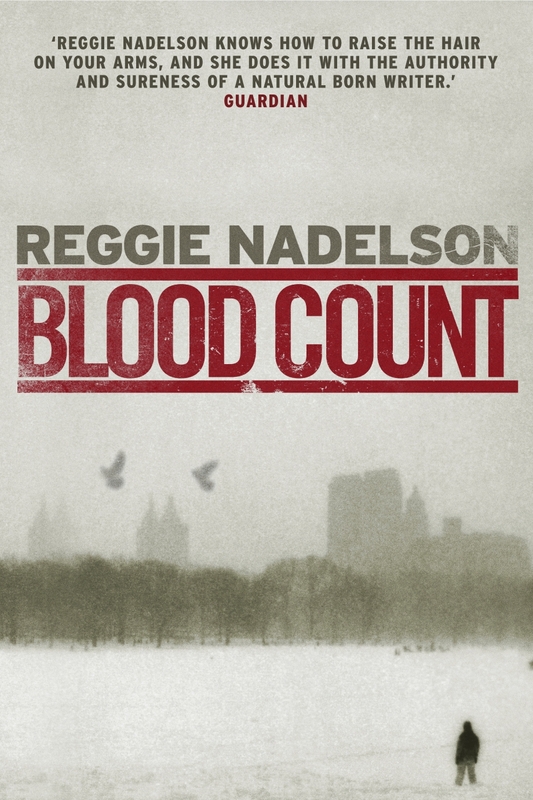 REGGIE NADELSON - Out for Blood? 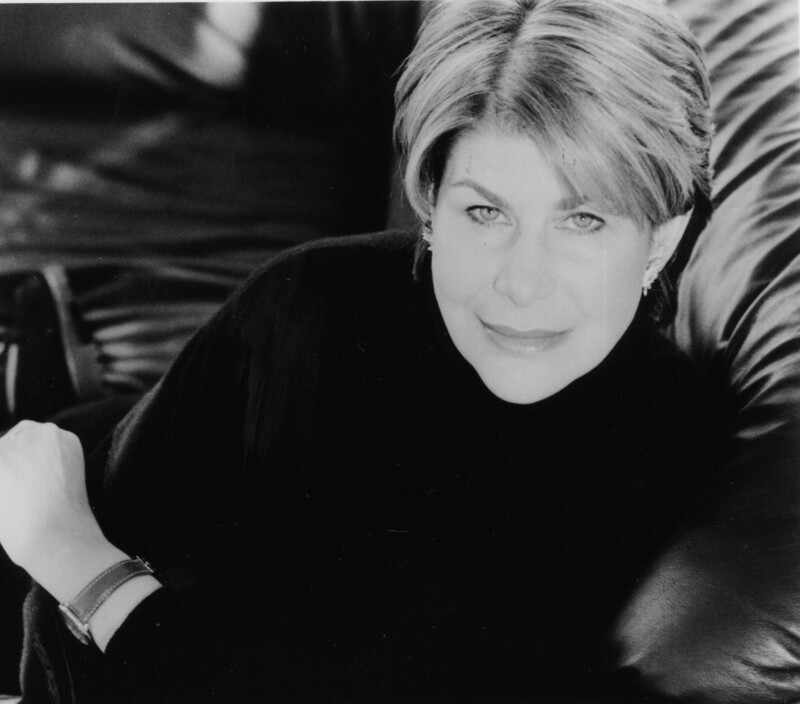 Writer, journalist and filmmaker, Reggie Nadelson is best known for her series of novels featuring Artie Cohen (Artemy Maximovich Ostalsky) a transplanted Russian now a Police Officer in New York. She was born and grew up in New York City, in Greenwich Village, and so had a liberal (both senses) childhood. Teenage years spent sneaking into jazz clubs and the like, and university spent reading English literature and dreaming of going to London/Paris – which she did. The first four Artie Cohen books took place in New York City and in Moscow, Hong Kong, London, Bosnia and Paris. As a journalist she has written articles for The Guardian, The Independent and The Financial Times. As a filmmaker she has done documentaries on Tony Bennett, the great jazz photographer Herman Leonard and "The Red Elvis", Dean Reed. Like her series character Reggie Nadelson is also deeply fond of Jazz. You spend part of your time in New York and part of your time in London. What is it about these two widely different cities that you enjoy so much that you split your time between the two of them? What is your take on London? I think they’re actually a lot alike—at least in some ways. Big. Noisy, full of stuff to do and, blissfully, diverse. But New York is an immigrant city and revels in this—one out of four people currently in New York was NOT born in the USA and we’re all immigrants, one way or another. London is still very English in many ways, and much less comfortable with immigrants. Also, New York a city which grew from the centre out, and more urban than London’s string of villages linked together. I also think that London these days is suffering horribly from the gap between rich and poor, more than New York. And London, which I adore, don’t get me wrong, is terribly expensive, hard to find cheap stuff to do and so a much older feeling place. How has your work as a journalist influenced your writing? Just that I’m interested in the world, all of it, in about everyway and places I’ve covered inevitably go into my books. It is clear from your work that you have an affinity with Russia. Where did you get your fondness for Russia? Not so much fondness but fascination. I spent years covering it as a journalist and documentary filmmaker. You started off by writing the Artie Cohen series but have since written a number of standalones and non-fiction books. What initially made you decide to write a series and what then made you want to depart from them? The series just happened, in part because I got hooked on the character(s), and also because publishers like mystery/thrillers in multiples. Stand-alones because I was interested in other stuff. Artie has a rather complex personal history and he does not really want to deal with his Russian ancestry, but throughout the series he always manages to find himself involved in something that makes him do so. How well do you think he manages to cope with this? Not that well, which is what I hope gives the books a certain texture. He wants so badly to be an American—specifically, a New Yorker—but the past is every with him. What makes a character real for you? Must you work everything out about them before hand or do you just let it flow? I just let it flow. I re-write a tremendous amount, and often have to re-invent a lot of my characters who tend to get away into really complicated by-ways, many of them failing to observe that singular law of fiction: DOES IT SERVE THE STORY! Plot or character? Which do you think is the most important and why? Or do you think that there should be a happy marriage of the two? To be honest, it’s character that makes me a fiction addict. But, of course, plot, or story more to the point, has to keep you turning the pages. In a perfect world the characters drive the plot. Blood Count is the 9th book in the series to feature Artie Cohen. How do you manage to keep the series and the character so fresh and is there anything that in hindsight you would like to change about Artie? It’s hard to say what I’d change. After all these books, Artie feels almost like a real person to me (creepy, eh), and I can’t think of what I’d change. I would change other stuff in the books, though, especially certain aspects of plot which, looking back, seem overwrought. What was the impetus for the story Blood Count and where did the title Blood Count come from? I’ve always be interested in Harlem, always wanted to set a book there. Also, I thought, for a change, I’d do a book which a more traditional “mystery” context, e.g. a closed world. So I went for both: the closed world of a decaying grand old building in Harlem. The title comes from a famous jazz song, Blood Count, the last tune written by Billy Strayhorn (who wrote many of Duke Ellington’s most famous stuff, including Take the A Train—THE Harlem song), as he was dying. The books starts on 4 November 2008, which was election night in the United States. A momentous occasion. Can you remember what you were doing then? What was your reaction to the result? Can I ever! I was at Il posto Acconto, my favourite wine bar/hangout in the East Village with a friend. The place was jammed. When the news went up that we’d won, everyone went absolutely nuts, people kissing each other, drinking massive amounts, cheering. The streets were like New Years, but much better—music, honking, strangers embracing. One of the things that I love about Artie is his love of Jazz! Do you share his enthusiasm as well? I do. I love the music. I haven’t got any really technical knowledge, but I love it—Miles Davis, Stan Getz, Coltrane, and especially the vocalists, Ella, Sarah. I love the music, I love the period. I recently helped on a book of photographs by Herman Leonard, the greatest of all jazz photographers, and a great friend. I have his stuff on the wall and can look at it while I write. There are a number of strong elements to Blood Count that in my opinion not only show it for the police procedural that it is but it also moves into the realm of a strong, whodunit-style thriller. This is for various reasons not the least of which is the complicated relationships between all the principal characters. The living and the dead, the racial element (black and white), politics (Communist east and capitalist west) and the present and the past in the form of new (progress) versus old (tradition). Was this intentional and how did you manage to ensure that one aspect did not overwhelm the other? Well, thank you. I’m glad you think that. I do a vast amount of re-writing, and I go through the whole ms once at least for each element. There were times when I was reading Blood Count that I had to laugh at some of the interplay that takes place. For example at the beginning when Artie is in the coffee shop talking to the owner Mike Rizzi who is a first Gulf War vet it is clear that he wanted McCain to win, but what made me laugh was his comment about Sarah Palin. Was this by any chance your way of commenting on the state of US politics? What is going on with Artie’s relationship with Lily? They can’t seem to remain together although at the end of Blood Count it seems that this might change. Well, he’s a moody Russian New York guy who loves women, and behaves badly, but at the end of the day, it’s always Lily he loves and wants, and I’m hoping that after this they might settle down. How would you describe your Artie Cohen novels to someone who is about to read them for the first time? more, I hope people care about my characters. Make em laugh, make em cry, that’s what fiction is for. What were you looking for in a novel that made writing a police procedural so attractive? To be honest, I just liked the genre, and I think it now includes so much—from John le Carré to Ian Rankin. It actually just sort of happened, to tell the truth. What is it about crime thrillers set in New York that make them so fascinating? I was. I think the first was Josephine Tey’s the Daughter of Time, or possibly Agatha Christie’s Roger Ackroyd. I was in Paris, and my best friend was also there, she was doing her Ph.d And I was hanging around, and we used to go to WH Smiths and buy mysteries because neither of us had good enough French to read it for pleasure. Do you still find time to read and if so have you got any authors that you prefer to read now? Not as much as I wish I did—and some of it is laziness. Phillip Roth always. Alice Munro, ditto. Just read Peter Carey’s Parrot and Olivier which I adored. How much research do you do and do you actually like doing research? I’m not crazy about research and the Internet has made life much easier. I do what I have to. Where do you find it the easiest to write and why? It’s never that easy, but probably best at my desk, at home, staring in the morning, and slogging away as if I were an accountant. Regular hours. Friends most of all, plus Movies, jazz, theatre, eating out, travel, and, dare I mention it, TV. I’m a Law and Order addict. And walking around the city. Oh, and long car trip through the American West. Oh, and I’m a British TV junkie, great docs, great drama, though the best days are over—think Jewel in the Crown, think Brideshead, think David Attenborough. What do you find the most difficult when you are writing? I understand that Comrade Rock is being filmed, how did this come about? Comrade Rockstar was actually sold to Tom Hank by my Hollywood agent, and it’s still not being film quite yet, actually. But one can hope. If you could have five people to dinner whom would they be and why? Gosh. Well, Shakespeare, of course, in order to find out if he’s Shakespeare, or just a regular writer who churns it out. But I assume you mean living people, as the dead are hard to dine with. Nelson Mandela. Gorbachev, Fidel Castro, both out of the sense that they have utterly changed the world. Stephen Sondheim. (change of greats, eh?) Randy Newman. Wynton Marsalis who is the best talker I’ve ever met. Some of the young people who are busy changing the world in Egypt. Maybe the Stones for entertainment. Alice Munro because I so adore her books. Is that five? I’m no good at this. Anyone entertaining who is opinionated but listens, who is witty, but doesn’t tell endless jokes, anyone who is really, really curious and interested in the world and has made it a priority to see and know it. If Artie Cohen had the same opportunity, who would he invite? Assuming he can invite dead people he would have Ella Fitzgerald, Louis Armstrong, Frank Sinatra, and because he loves beautiful women, maybe Nigella Lawson and Lena Horne. Most of all, though, he’d like to be with Tolya Sverdloff, his great pal, and Lily, love of his life. What are you off to do after this interview? I’m going to crash onto the sofa and watch House. I wish I could say I was off to some fabulous dinner at the Obamas, or a little do with Jay-Z, but there it is.